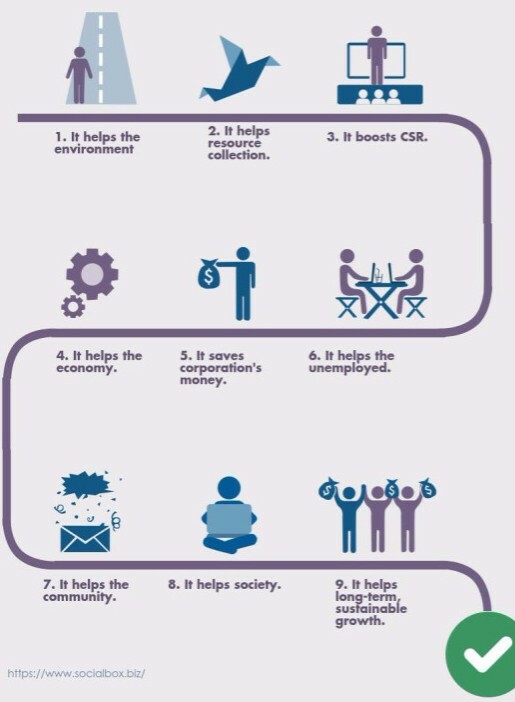 Our bloger Sam covers the Good News relating old but still useful IT Hardware in his latest ‘info-graphic’ on corporate computer donating in London, UK and what is really important to take into consideration when dealing with any IT Hardware reusing and recycling. In the blog, many things are discussed such as the rapid development of equipment produced in the IT and technology sector as well as the importance of donating. The newest post highlights Socialbox’s efforts to the rapid rate at which technological items are produces and replaced while providing a method of reusing old computers in order to have equipment to donate to those who need it the most locally in the UK to give opportunities to others in the modern day workplace. The ‘infographics’ blog post is short and to the point, but gives details as to what IT hardware and laptop donating is and the processes like collecting equipment, tracking and certification and sensitive data removal. The guidance of the blog post is another step towards Socialbox’s mission of the advancement of corporate social responsibility through social enterprise activities as well as programs and initiatives to enhance and inspire the local community. I love when I stumble upon businesses building their business models off of social enterprise activities. We don’t see that enough today. SocialBox.Biz is taking any London, and greater UK’s old tech equipment, and offering to reduce, reuse, and recycle it in an environmentally friendly way. This is an incredible initiative on their end. So many office, corporate, and personal laptops are thrown out every single day. It’s heartbreak when you think about it. SocialBox.Biz identified this and are offering to re-home them to the homeless! Brilliant. And, they’re not only helping the misfortunate, they’re also giving a whole new perspective to Corporate Social Responsibility. Partnering corporations can rest assured their IT hardware and corporate computers will now be properly recycled. I love what I see here. Keep up the good work. I will be telling everyone about this initiative! recycling is a very good process to save money and environment and create jobs. That process enable to use those thing which are no longer needed but can be used by someone else. It’s like awareness program. Good idea, up to the mark. This summer our main offices will have to relocate and change their hardware so we need you to recycle our old laptops and work phones. I work in a large public library system and one thing I like is that once a year they have a big sale of used computers, printers, office equipment etc. These items sell for next to nothing and people flock to the event. In my library alone there are probably 50 computers / printers/ receipt printers, being utilized at any one time. They get worn out or out dated pretty fast and the thought of all of this equipment going to the landfill is appalling. Do other businesses resell, re-use or recycle their used equipment? Better to sell to someone who can repair or recycle and make it a win-win situation. Thanks for a great post. Thanks for the update here, I just followed the link to the full post and am so glad that I did – seeing that photo of all of the old computers waiting to be recycled helps to put things in perspective. It’s sad to think that if we didn’t have companies like Socialbox that take care of things like this, then all of that equipment would go to waste somewhere. I hate to imagine what that could do to the environment! I absolutely love your mission here. The best companies are the ones that have social responsibility at the forefront, and it seems like you are doing exactly that. By this recycling program you’re not only doing people a major service by helping them properly get rid of electronics that are difficult to dispose of, but you’re bettering the community in the process. Good for all of you involved with this! I hope more communities will take on a program like this so that we can all learn how to recycle old electronics. Such a great initiative! 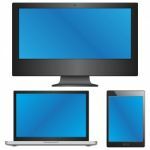 Today almost any business has at least one laptop to manage sales and promotion which leads to a lot of hardware that needs to be recycled every single day. Previous Previous post: What are the laptop computer recycling options ?